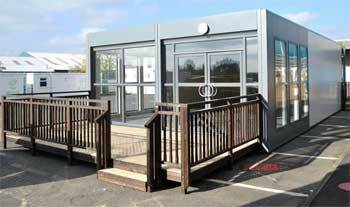 Prefab Modular Office Building Sales & Installation Services Nationwide. Thanks to the ever changing nature of business, and the fact that maintaining a competitive edge is dependent on the ability to adapt, many businesses find that they have constantly changing requirements when it comes to the internal office space in their buildings. Even a small reorganization have major implications on the actual space requirements within a regular buildings, and with this in mind, having a flexible system in place is essential if your business is to be able to react to the market and change on demand. 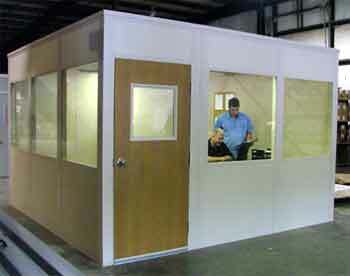 With modular office buildings, it is simple to repurpose areas very quickly, and the layout of your office can be altered in a matter of hours simply by removing and replacing the internal partition walls wherever necessary. 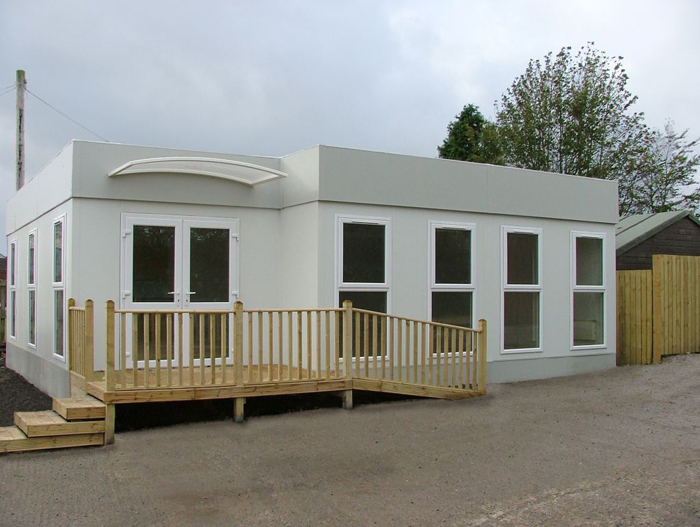 One of the key advantages of a modular office building is that it is ready to grow with you, and thanks to the latest construction methods and the quality of the components that are supplied by Easy Rack, you will be able to get started on a project and complete it very fast. When you are making changes to your business in order to boost efficiency or productivity, the most important thing is to get the changes implemented as quickly as possible. Minimizing the amount of down time that staff have during any construction work is essential, and thanks to the modular office building systems Easy Rack offer, you will be able to fully plan the entire change without moving a single desk, then order the components that you need, before moving walls and other objects as required to get the office laid out exactly as you want it to be. Unlike traditional temporary buildings, modern modular offices include a number of factors to improve the comfort for staff. Thermal control panels and extensive noise proofing ensure that no matter where the office space is located, staff will not be bothered by external noise such as that which would be found in an industrial environment. Thanks to the faster construction time provided by modular office buildings, your staff could be back to work within the same day as the building work begins, and the changes that you make are not subject to the same number of inspections and regulations as conventional construction, so there is less bureaucracy to deal with when you make changes to your own office space if it uses a modular building system for the internal layout. The ability to change the interior of your offices in order to perfectly reflect the exact requirements of your business at any given time will enable you to react much more quickly to any changes in your industry, and push for growth and expansion in all areas of your industry at a speed that suits you. Thanks to the Easy Rack modular office systems, you will be able to transform your office on demand without having to sacrifice either a high quality finish, or rely on workmen taking weeks and weeks to make even a small change to the interior of your building. Easy Rack carries a wide variety of commercial shelving, material handling equipment, commercial lighting, used pallet racks, and modular prefab buildings installed nationwide. If you can not find what you are looking for call us toll free at 1-888-776-3720 and we will find it for you. Our home office is located in Houston, Texas with warehouses located throughout the United States that enable us to service all 50 states including New York NY, Los Angeles CA, Miami, FL. Chicago, IL. Denver CO., El Paso, Texas, Dallas TX, San Antonio, TX, Austin, TX. Many variables can pressure organizations to either construct new buildings or add on to existing buildings.